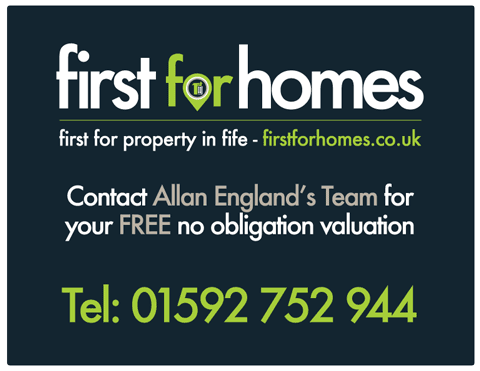 First for Homes is a fully independent estate agency servicing all your buying and selling needs throughout Fife. Our modern, welcoming office is located within fantastic high street premises in Glenrothes. As a fantastic sales team, we provide the highest standard of professionalism and expertise in everything we do. With expert knowledge of the local market, up to date technology at our fingertips, our reputation is built on trust, service and unique aftercare resulting in our fantastic ability to deliver excellent results each and every time. A highly experienced estate agent you can trust to sell your home at the highest possible price within a timeframe best suited to you. Independent estate agency offering fantastic, highly competitive sales packages tailored to your needs. Fantastic high street location with friendly experienced sales staff offering the highest level of customer service. Available 7 days per week including late evenings. Dedicated estate agent working harder for you, from start to finish. Expert knowledge of the local area with a vast number of previous listings and sales. All homes advertised on all major websites with maximum property exposure. Free VIP buyer service ensuring that nobody misses out. Call us on 01592 752944 to arrange your FREE Property Valuation or Register as a VIP Buyer today!